We are getting ready to unveil our newest program for you. It is called “30 Days to a New back”. Before I get to far into this I want to reiterate a few things we have discussed during the many posts we have had when dealing with philosophy. First, we are not medically licensed, nor does anyone in the medical community endorse what we do. Our training is based upon principals that we believe to be the way the human body was meant to be trained. We have not gone over this since some of our very early philosophy posts but check out the philosophy category to check out more on our philosophy. Since we have not covered it in awhile and I know many of you are new to the blog let me go through some basics of the philosophy again with you. The basic fundamentals of our training method are based on the fundamentals of how our body is designed. I will abbreviate a lot of this so again if you want more detail check out the philosophy category. The human body is designed to respond to stimulus. Simple enough but amazing how the training world understands this but fails to completely utilize it to their advantage. 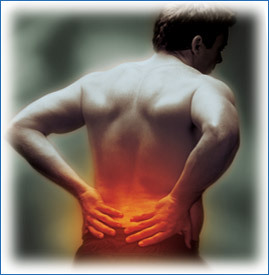 Food, water, sunlight, pain, these are all examples of various types of stimulus our bodies react to. The one we obviously focus on however is demands we place on our muscular system. I get complaints sometimes when I use the language of stimulus because trainers get overwhelmed by it. If I asked you to get a bigger bicep what would you do? I am guessing you would go do some form of weighted bicep curls. It is that simple, the bicep curls are the stimulus to your muscular system. By doing the curls you are creating the series of events necessary for the breakdown of the muscle tissue which starts the process of the muscle becoming bigger and stronger. This is how most people understand exercise. We at Train2move believe this as well but we do not limit it to the obvious. The personal training world is very focused on the appearance of the body, toned arms and legs, six pack abs etc. Then to attain these things they use any number of the various exercises they believe to achieve this result. Again, the stimulus necessary to change the look of the body. We speak frequently to all of you about the importance of muscular efficiency and how this pertains to your ability to train the body properly. Looking at the bicep example we would take the idea of gaining strength and size in your bicep a step farther and first look at the anatomical position your body is in. Lets say you have poor posture and your upper back is rounded (kyphosis) and your scapulas (shoulder blades) do not move through their full range of motion. This in turn has caused your shoulder to be out of alignment. Now since the humerus bone in the upper arm comes out of the shoulder it is quite possible, if not likely that this bone is also a bit out of alignment. All of these things can affect the bicep since its origin in in the shoulder and it inserts in the bones of the forearm. So we say if your going to really try to get the best version of strength and size in your bicep, fix what may limit your potential as you train so the results are even greater. Now instead of bigger biceps what if I asked you to change the angle in someone’s pelvis to help alleviate pressure in their lumbar spine? Believe it or not this is just as simple as getting a bigger bicep, you just have to be fully committed to understanding how to truly impact the muscular system for more than just the appearance of the body. Next up I’ll explain how we are able to do this and more importantly how we are making a program for you to be able to do this for your own back health.